1. A safe drive home yesterday from TN to IL. It was free from snow storms, and rained only a little. Only for a few minutes did I drive through torrential rains… which is much better than my last few drives! 2. My books on cd. They make the drive go SOOOOO much faster. 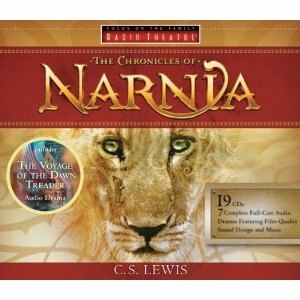 I have been listning to The Chronicles of Narnia recently. Yesterday I finished The Voyage of the Dawn Treader. 3. Getting to see my sweet friend Anne and her two adorable boys! I am having lunch with them today and I always look forward to my time with them when I am home.